save the date: october 17th for the 2017 food sovereignty prize. The Food Sovereignty Prize honors grassroots organizations who are challenging corporate control of the food system. This years honorees of the ninth annual Food Sovereignty Prize are Zimbabwe Small Holder Organic Farmers’ Forum (ZIMSOFF) ,and the Northwest Atlantic Marine Alliance (NAMA). The prize giving ceremony takes place on October 17, 2017 and is streamed live online at 12PM EDST. This year’s honorees were selected for their success in promoting food sovereignty, agroecology, and social justice to ensure that all people have access to fresh, nutritious food produced in harmony with the planet. Lauded as an alternative to the World Food Prize, the Food Sovereignty Prize champions real solutions to hunger and is recognized by social movements, activists, and community-based organizations around the world. This year’s honorees are tenacious in their resistance to the corporate control of our food system, including false solutions of biotechnology that damage the planet while exacerbating poverty and hunger. Zimbabwe Smallholder Organic Farmers Forum: (ZIMSOFF), is the voice of over 10,500 peasants struggling for social justice across Zimbabwe. ZIMSOFF organizes and empowers smallholder farmers practicing sustainable agriculture to improve their livelihoods, and influences policies and public awareness on agroecology and farmers rights. They pay particular attention to the participation and leadership of rural women and youth. ZIMSOFF has a special focus on seeds, promoting seed saving, breeding of locally-adapted varieties, and farmer-to-farmer seed exchanges, including through national and southern Africa regional seed sovereignty networks. Northwest Atlantic Marine Alliance: (NAMA) is a fishermen-led organization working at the intersection of marine conservation and social, economic, and environmental justice. NAMA works to build a movement for a healthy ocean, a just seafood system, and community-based fisheries that are diverse, fair, and equitable for all. NAMA’s mission is to enhance and maintain healthy marine ecosystems by organizing a decentralized network of community-based fishermen, fishworkers, and allies, with the understanding that no one entity can solve the complex environmental-social-economic problems faced by our fishing communities and those whose lives depend on a healthy ocean. 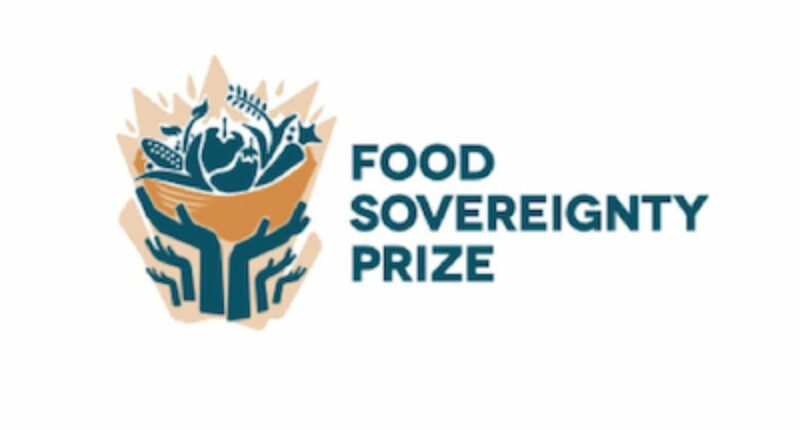 WHAT: Food Sovereignty Prize Live Ceremony honoring the Zimbabwe Small Holder Organic Farmers’ Forum (ZIMSOFF) and the Northwest Atlantic Marine Alliance (NAMA).